As every South Lantau Rd commuter over the past four years knows, White Sands is located next to the Tung Chung Rd roundabout. Developer Swire Properties built 28 properties ranging in size from 1,954 to 2,598 sq ft and has put 24 on the market. 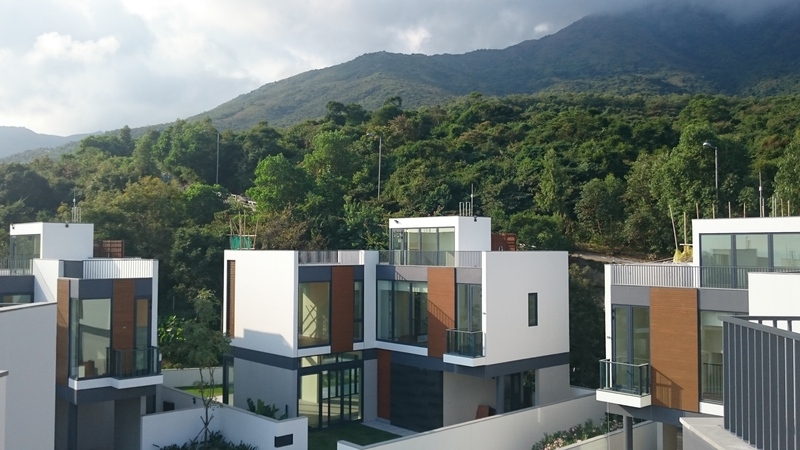 One has been sold through tender for HK$46.6 million, or HK$25,754 per sq ft.
To put that into context, the listed average transaction price in South Lantau last month was $8,547/sq ft. Tung Chung was $10,002. Clearwater Bay was $12,552 if you really want to know. 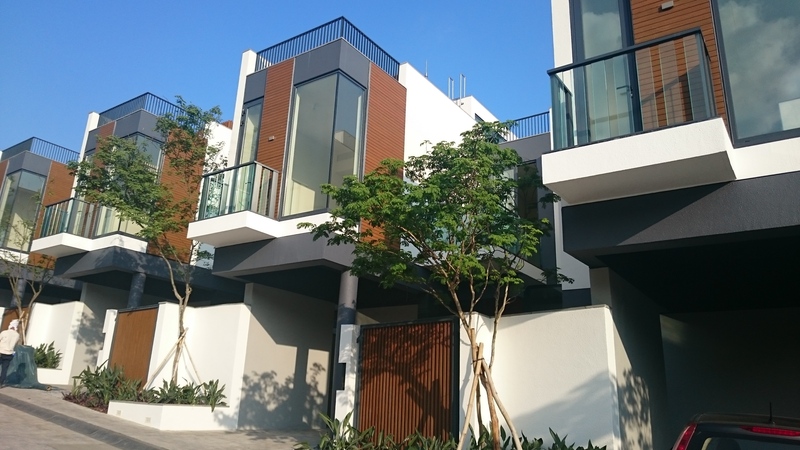 Each home has two storeys plus roof, three bedrooms and a garden. There’s a balcony attached to every bedroom, Gaggenau gear in every kitchen and – a differentiator for those of us in village houses – four-metre high ceilings. Yet if White Sands is high-end, Botanica Bay is the kind of sumptuous excess we associate with Hollywood drug barons. It’s located on Cheung Fu St, near the old Tung Chung Rd. Lantau Confidential wasn’t invited to view it but we have captured this screen shot from the website of the developer, Sino Land. It’s no. 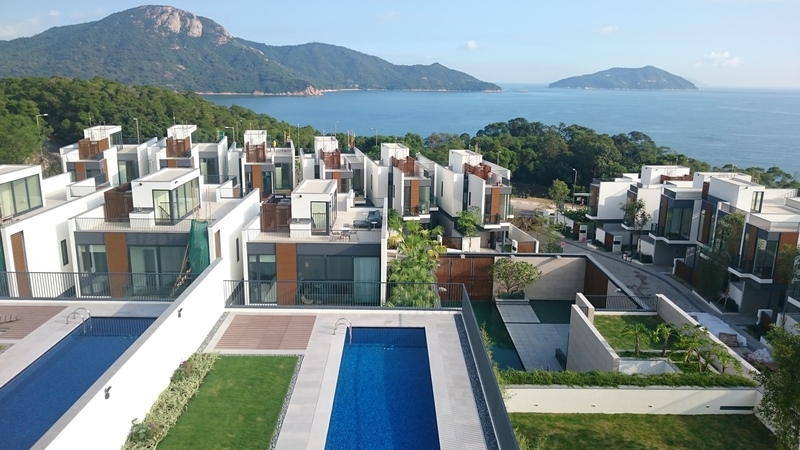 12, the biggest home in the project, which sold for a hefty HK$209.4 million in July – an Outlying Islands record. Per square foot it’s $37,000 – nearly half as much again as the White Sands sale. According to Apple Daily, Botanica Bay is being pitched as ‘Lantau’s Shek O’, though it doesn’t explain why. In the first three months Sino sold six homes for a total of HK$736 million. Not bad – it paid HK$428 million for the land in 2007. But it hasn’t sold any since the end of July, presumably because of the bearish sentiment in the local property market. The arrival of extremely well-heeled new residents adds a new dimension to our little community. Local merchants are understandably rubbing their hands. But do the newcomers know that the ocean vista that they have just paid so handsomely for is about to be altered by a HK$20 billion household waste incinerator? Even the Under Secretary for the Environment has described it as “dioxin-spewing.” It’s not a question people are asking at White Sands, Kelly says. This isn’t to put our new neighbours off. On the contrary, pissed-off high net worth people are what we need on our side.